Can a marriage be a fairytale? I love fairy tales. They contain the most delightful characters to stoke the imagination– dancing teapots and talking mirrors and wonderful, magical sprites and what not. And they have a way of sorting themselves out most cheerily with a dreamy and splendid wedding, marked by the promise of everlasting gladness. Who wouldn’t love a fairy tale? But there it ends. It’s just a tale. Can we really live happily ever after? Are fairy tales truly worth cultivating in a reality? I think not. And here’s why. The usual fairy tale is built on a-damsel-finds-her-prince-charming premise. Sure enough, it is loaded with stereotypes. The happily-ever-after in a fairy tale is intended to stamp a sort of paradisiacal permanence to wedded bliss. And yet if Paradise signifies a going about in a primeval sort of nescience, a healthy marriage is anything but that. A fairy tale idealizes romance and chivalry and all it takes to get to love. What a fairy tale doesn’t talk of is what happens in the marital relationship or what it takes to make one work. Once the witch is slain and the spell broken, the fairy tale freezes its characters in time. Quite unlike life where the real challenge begins only after the nuptials. 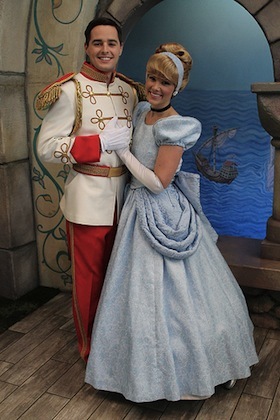 True, you can have a fairy tale wedding, a grand and lavish affair that people will remember for years to come. But a happily-ever-after ending is fiction since it precludes the possibility of dialogue, disagreement and confrontation – all of which are imperative in a relationship towards a better understanding of the other. With its dumbing-down of the woman, a fairy tale subordinates her to the man and devalues her say. An unequal relationship can never be a happy one, let alone ever after. So what then is a healthy marriage? One in which the man and the woman find an equal voice. Where the needs and aspirations of both the partners matter. One founded on compatibility, mutual trust and the determination to put the relationship before personal ego, the ‘WE’ before the ‘I’. But more importantly, one where each partner enjoys that vital, sacrosanct space to be herself or himself. A relationship that calls for a sacrifice of one’s individuality can never be a healthy one. No doubt, acceptance of the other doesn’t come easily. Misunderstandings, fights and tears are all part of the maturing of a relationship. A fairy tale ending conveniently disregards the fact that unhappiness is as crucial to a marriage as is happiness. Think again. What sort of a relationship would you like to be in? Happily-ever-after – All placid and gung-ho and sunshine, with doubt and regret skulking beneath. Or Heartily-ever-after – where you love yourself as much as you do your relationship and wouldn’t mind an occasional stormy weather? I’d prefer the latter. How about you? You know, I dumped an ex because he couldn’t digest the fact that I asked him why he expected me to take his name after marriage. In fact why is it MRS from MISS and why not something after MR? it’s a bloody double standard i tell you. The day disney starts making brainy princesses is the day that men recognise women as capable of being equals. You are right it takes two to tango … But I believe apart from all this mutual respect for each other must not die !! I agree with savitha, questioning male decisions would amount to blasphemy even in today’s world.women have proved better than men in so many fields and they can very well play the role of the chivalrous prince,rescuing the counter parts from dangers.Fairy tales as the name suggests is a tale of the fairies not mortals like us.so let it be and let us celebrate our life with all its misgivings. @ Kofykat: It is a long deplorable practice of our society to give a woman her identity not as a individual but in relation with a man. We still have a long way to go. @Sangeeta: True. A relationship without mutual respect can only be one-upmanship. @Savitha: You are so right, Savi! The prototype of ideal womanhood held out to us is one who perennially suffers in silence rather than disown a grievously errant spouse/family. Worse, our TV serials only perpetuate that myth. Wonder if things would have been different if the Ramayana and Mahabharata were written by women. @Usha: I agree. We can have our fairy tale moments in our relationships. But trying to replicate a fantasy in real life can only be an invitation to disaster. I too def prefer the latter! 🙂 Beautifully written!